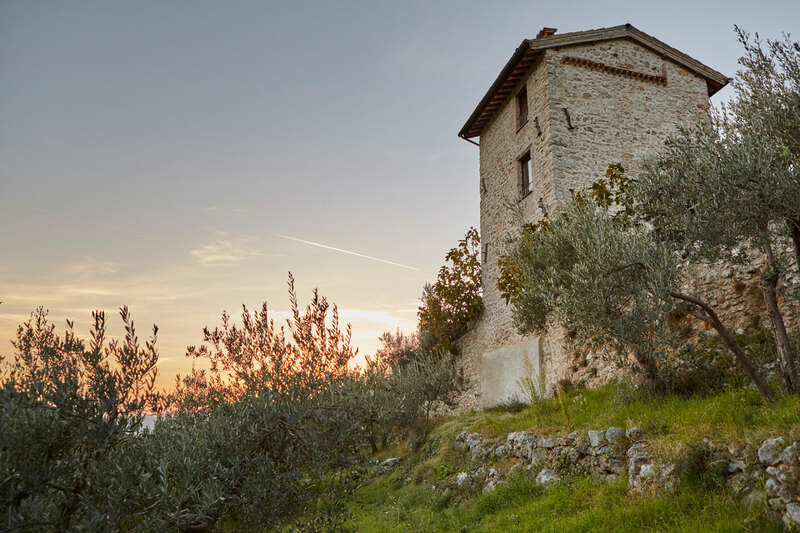 Il Casalino is located on the edge of the medieval village of Bazzano di Sotto, near the Castle and the Parish Church of St. Andrew, at the center of an area of great environmental interest, perfectly preserved, five kilometers from Spoleto. The company takes its name from the core that, as part of the property, was used as the pastor's house and as a sheepfold. Today, the ancient buildings, after a careful restoration, are intended for, with all the comfort, the welcome guests wishing to choose a quality vacation. The six accommodation units are designed in such a way to offer great flexibility in use. Two beautiful living rooms with fireplace, kitchenette and loft bed can be connected, respectively, to one or two double bedrooms, each with a loft bed and services, forming of different capacity units, two to eighteen beds. The second company's core is formed by another extremely interesting building: The tower. It is an ancient watchtower, medieval, transformed over the centuries in the dovecote and later in country cottage, recently subjected to a painstaking restoration; its great charm comes from the extraordinary position, the maintenance of the original building elements, from the vertical layout of the rooms, the availability of external spaces. 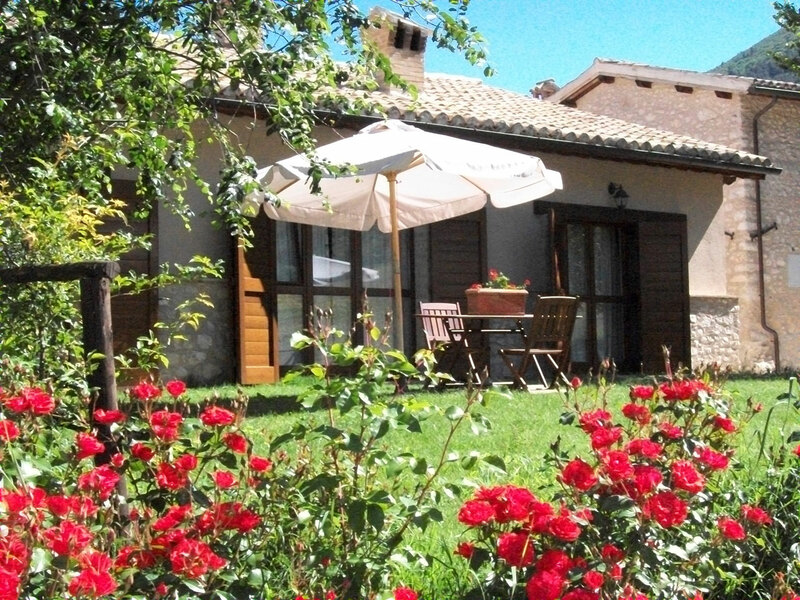 It has a twin bedroom, a kitchen with fireplace, a living room, a bathroom with shower; All the rooms are furnished with Umbrian furniture. 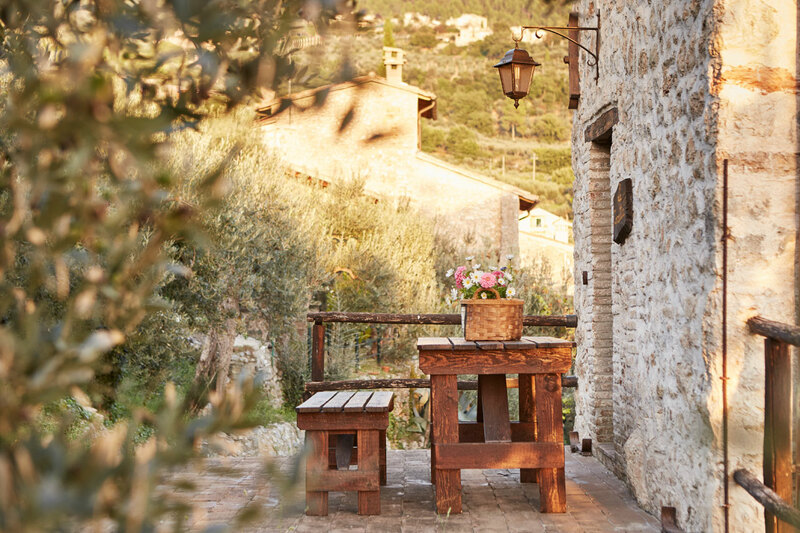 A historical and natural environment intact, the tranquility and silence of the place, the functionality of the accommodation units, tastefully decorated and in keeping with tradition, they are, in a nutshell, the peculiar characteristics of the farm. For cyclists and hikers endless possibilities: the road bike you can cross the Valle Umbra to Bevagna and Assisi, touching beautiful old towns, or take the Valnerina in the midst of unspoiled nature, or climb and descend hills towards Montefalco. For MTB a network is available enthusiasts of dirt roads in the middle of a veritable sea of ​​green, dotted with old farmhouses, churches and castles. The Path of Olives, towards Spoleto or towards Trevi is but one of many possibilities for hiking enthusiasts. Within reach of horse riding, river rafting and canyoning courses, climbing walls. The company is able to arrange tours and cultural excursions theme, for the knowledge and the visit of the monuments and works of art of Spoleto and other Umbrian towns; In addition, through collaboration with other structures, typical food tasting and cooking courses, visit to the cellars of the Martani Hills and the Sagrantino Road, around the mills of Oil Road.